Get some hot cheese action with vegetarian paneer dish from a tasty Indian restaurant in Takoma Park, DC’s unique artsy suburb. So good that you just might forget you love meat for a moment and just enjoy it all its cheesy glory. 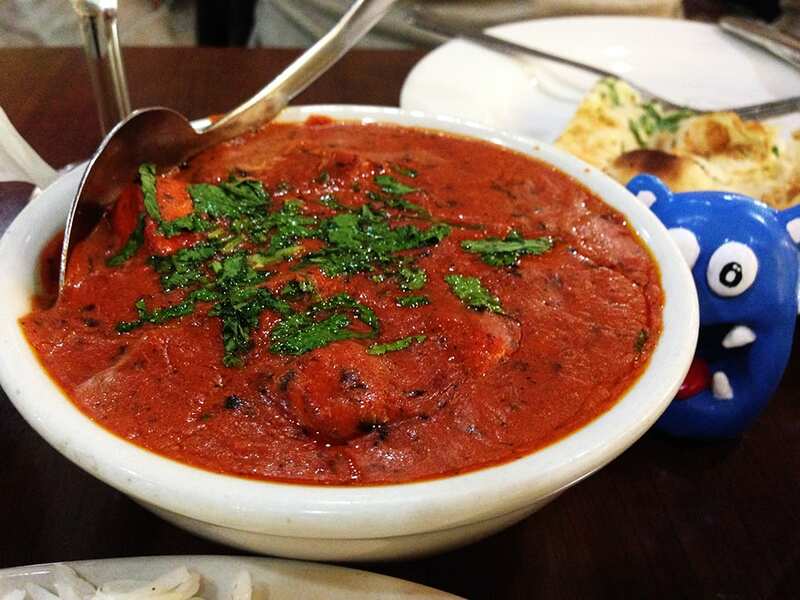 Paneer dish came very highly recommended to us by one of our Vegetarian nomster fans. 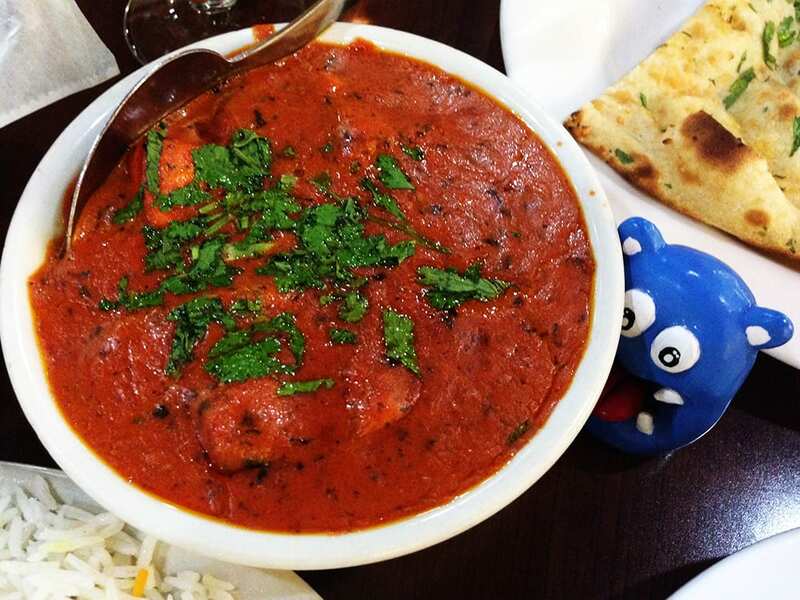 Finally, a search for our favorite Indian dish is finally complete. Giant pieces of BBQ homemade cubes of Paneer cheese, a traditional Indian ingredient in vegetarian dishes. Paneer is a un-aged, non-melting farmer cheese or curd cheese made by curdling heated milk with lemon juice or any other acids. In a way its a bit like blue cheese with a very similar texture and flavor levels. Comes in a bowl of traditional thick gooey tomato sauce and yet it doesn’t have too much tomatoy flavor. I usually don’t like tomato sauce because of overpowering flavors, but not in this dish. It almost tastes like something else, which our guess is the cheese. Great with white rice on top of naan bread. Not too spicy so you won’t burn your mouth away and yet not bland at all this is a perfect dish. 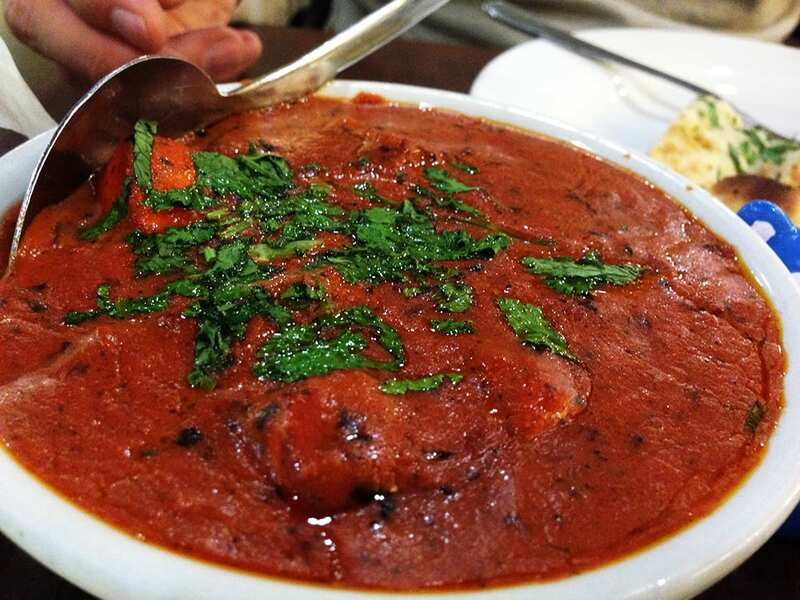 This is hands down our new favorite Indian dish with an easy name to remember for next time.